The other day at Ikea I finally convinced my husband to let me purchase a batch of Ribba frames. I’ve been wanting to build a display wall of photographs in our hallway, but David isn’t really a family-photo-display-wall kind of guy. However, this time he was into it and I jumped at the chance. I’ve been spending time today looking through my Flickr account, trying to decide on the photos I’d like to use. That is when I came across these fabric heart cards I made from two years ago. Wow. You mean I actually had time back then (with only one child) to do fun projects like this? Anyway, you can see they are very simple. I had a batch of blank white patterned cards, cut out a silhouette from the center, backed it with another piece of white card stock and sewed up the edges to secure it. The stitching also added a nice little frame on the heart and tree versions. On the flowered version I cut out some fabric flowers, pasted them on and stitched a line down the center. Not sure what happened to these, but I’m thinking I might have given them as part of a gift. It sure what fun to see them again! Categories: Crafts & Sewing, handmade | Tags: cards, diy, fabric, flowers, heart, make-your-own, sewing, silhouette, tree | Permalink. Hi! I hope you are having a wonderful Valentine’s Day! I am happy to report that we got our valentine cards out in time this year (well… all but one. Sorry Great Grandma Vera, yours got stuck in the pile of extra envelopes and I didn’t see it until last night). We kept it simple and used foam and sparkle stickers on white card stock. I learned that Chloe finds 3-dimensional stickers on sheets to be easier to peel than stickers that are pre-punched out. I did a lot of pre-peeling just to keep things moving. Also, we worked on cards over several sittings, the length of each determined by Chloe’s attention span and interest. This morning, David surprised me with a lovely card and a box of truffle-filled dark chocolate hearts. For him, I designed a card cover, and inside I included this pop-up pixelated heart in red. I think he really liked it. To surprise the kids, I picked up some helium foil valentine balloons from the dollar store while Chloe was in preschool. Want a stamp of your own? Lauren of Doodlebug DesignÂ is offering a 10% discount to Paperseed readers. Just use code Doodlebug10 at checkout. Categories: Chloe, Crafts & Sewing, handmade, holiday | Tags: cards, chocolate, hearts, valentines | Permalink. One of the things I regret not doing for Chloe was sending out a birth announcement. There were several factors involved in that decision – like the pressure (as a professional designer) to design my own, the cost of printing and postage, and the time it takes to stuff, address, and stamp each envelope. As a first time mom, I was just too exhausted and overwhelmed to tackle that project, and so I let it go. By the time I felt like I had a handle on things, it seemed a little too late to send a newborn announcement. Wanting to do things differently this time, David and I talked about looking into an online service. I was perusing Minted and noticed they were holding a “Summer is Born” Birth Announcement Design Challenge (they provided the photos). So I thought, what the heck? Maybe I’ll submit a few. 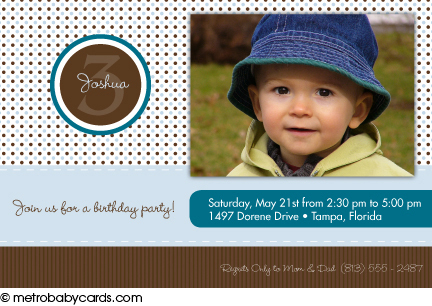 Categories: Design | Tags: announcement, Baby, birth, cards, Design, minted | Permalink. I am happy to find myself with a number of reasons to be thankful for my friends lately. To express my gratitude, I made more thank you cards using my trusty butterfly punch and pieces of Chloe’s finger paintings. Just one more way to spread the baby artwork love (even on the inside – see bottom photo). It is hard to see, but the Fastenator staple on the card in the second photo says thank you. The first photo uses a rub-on, which worked pretty well considering the cardstock has a little bit of texture. I haven’t used a rub-on transfer since I was a kid, but it was a nice option when working with dark paper. Postscript: I just read a great idea on Twig & Thistle that an easy way to sharpen your punches is to use the punch on some aluminum foil. Sweet! See the post here. Categories: Crafts & Sewing | Tags: baby artwork, butterfly punch, cardmaking, cards, fingerpainting project, handmade, making, scrapbooking, thank you | Permalink. I did it. I dropped Chloe off at day care this morning. For and hour. For the First Time. I’ve never left her anywhere before, except for brief periods with her grandparents. It feels really weird. Exciting and a bit wrong. Sort of like leaving the house with only one shoe on. You know it is missing and it doesn’t feel right. But you can still run errands with only one shoe. And know that the other one is doing just fine without you, right where you left it. A friend of mine started up a child-care co-op that I have yet to try. She printed coupon cards (that I got to design!) for AM and PM (see above), that you give to the sitter, so she can then use one when she needs child care. I want to take my husband with me to go see AVATAR again, and use one of my coupons, but it hasn’t worked out for us yet. Three+ hours seems like an awful long time. I’m hoping this will help me work up to it. You know, baby steps, and all that. Categories: Baby, Design | Tags: Baby, babysitting, cards, care, child, co-op, coupons, Design, Mother & Baby | Permalink. Recently Patti left a comment asking what we did for birth announcements. I was embarrassed to admit that although we took the time to design our own, we never took the time to got them printed. Sad. Instead, we copped out and included a photo of our new family in our Christmas cards. They’ve gotten a lot of press lately, but they sure have some cute designs. I’ve seen several printed examples, including a holiday card, this birth announcement and my own baby shower invite (thanks Greta! ), which all looked really nice. The branches with pink blossoms design below was the inspiration for the painting that Grandma Sandy painted on the wall in Chloe’s nursery. I first learned about Minted via the Project Nursery Blog. Back when Chloe was born they were running a 10% off special, except there weren’t any designs that David and I could agree on. They have gorgeous letterpressed wedding invites and even offer professional calligraphy. I would say their tagline “Modern. Funky. Unique.” is pretty apt. I love that they offer coordinating return address labels. Their personalized baby Thank You cards are worth a look, and they also have birthday, baptism, holiday and shower cards. Categories: Baby | Tags: announcements, Baby, birthday, cards, contemporary, Design, invitations, invites, modern, stationery, wedding | Permalink. This is what it looks like inside â€“ surprise! Filled with little strips of pink paper, each with a word on one side and the matching design from the container on the other. Words like love, forever, we, you, mine, desire, romantic, emily, david, always. I could re-arrange the little strips into many different combinations. Pretty and clever. I’m clearly blown away. This is the card that I made for David. He really loves to flyfish. On our drive back from the coast on my birthday, we stopped at a tiny scrapbooking shop in the seaside town of Gearhart, where I picked up my first collection of brads. That’s right. Before making this card I was a Brad Virgin. I don’t know why I waited â€“ they’re so fun! Such a variety of shapes, sizes and colors. I purchased these little fish, the dragonfly, and the heart paperclips, chosen individually out of tiny drawers. They worked perfectly for this card. The writing on top says “Fishin’ for your love.” The little fish hooks are made of staples I bent with needle-nosed pliers. The inside reads “…and now I’m hooked on you! Happy Valentine’s Day!” embellished with two red heart eyelets. Categories: Crafts & Sewing, handmade, Relationships | Tags: cards, Crafts & Sewing, Design, embellishments, handmade, Relationships, swap, valentine | Permalink. Okay, I know this post was supposed to fall on Christmas Eve, but Christmas Day will have to do. I’m working on a borrowed laptop (thank you, Andrew), because the operating system and software on our old laptop was more versions back than we thought. Oops. Anyway, Merry Christmas to all of you out there in blog land. It is snowing here in Colorado where I am visiting with my husband’s family for the holidays. My first white Christmas in a long time. It is warm and cozy in the house though, with a fire going in the wood stove. We went to Christmas mass this morning and sang many traditional songs, which was fun. Now we’re waiting for David’s brother Eric, and his wife, Liza, and son, Paolo, to arrive. Their United flight was cancelled because the crew “just didn’t show up.” Can you believe that? Luckily United placed them on a similar flight through Continental, even though they had to layover. What’s worse, when they arrived at the airport they found that their bag with all the Christmas gifts had gotten lost. Sad. But the important thing is that they arrived safetly and are on their way. Today marks the final day of my free weekly holiday posts. Thanks to everyone who left nice comments. I am so glad to hear that each pdf was so well received. As a final gift, today’s free download-and-print pdf is for a set of 3 Little Bird Notecards. One each of “Thank You,” “Happy Birthday,” and “Hello.” These are notecards that can be used throughout the year, not just during the holidays. Also, for those of you who are scrambling to come up with a last minute stocking stuffer, these could be great! Just print out a couple sets on cardstock, trim and wrap with ribbon and you are all set! Categories: Crafts & Sewing, Design, Free Downloads, graphic design, holiday | Tags: bird, cards, Crafts & DIY, Design, download, free, gift, print | Permalink.